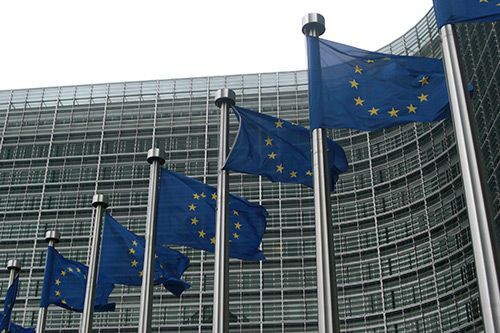 Jessica Howard’s essay was selected as one of three winning entries in the competition organised as part of the outreach process for the EU Global Strategy on Foreign and Security Policy. Jessica Howard, a student on the Graduate Diploma in Law (GDL) programme in The City Law School, is one of three winners of the European Commission's student essay competition organised as part of its outreach process for the EU Global Strategy on Foreign and Security Policy. All competition entrants wrote an essay titled, "Why is the European Union's Foreign and Security Policy important for your daily life?”. The contest was open to students taking courses taught by incumbents of the Jean Monnet Chair in European Union Law; Jessica's entry was submitted by Professor of European Union Law and Jean Monnet Chair, Professor Panos Koutrakos. "My immediate family live in different European countries and the EU's Common Foreign and Security Policy (CFSP) has an impact on whether or not the borders will remain open. The recent bombings in Brussels were clear examples of our family depending on open borders to be able to spend holidays such as Easter together. Academically, this area of law has only recently been given adequate attention. It is therefore a very exciting topic to research at the moment. Professor Koutrakos has written extensively about EU foreign policy and his enthusiasm for the subject is infectious." “The City Law School is delighted with Jessica's success. Her essay impressed a difficult audience against stiff competition. In engaging directly with one of the main policy challenges facing us today, Jessica's intelligent contribution highlighted the relevance of EU policies to our everyday life. Her success illustrates the position of The City Law School as a vibrant centre not only for EU Law scholarship and teaching, but also for broader debate on European issues”. To read Jessica's essay in its entirety, please visit this weblink.